West Des Moines Carpet Cleaning with top-notch Exception Attention To Detail and Quality Service is provided by the experts at WDM Carpet Cleaners. Carpet Cleaning, Stain Removal, and Pet Odor Treatment Services are completed according to your schedule, and the process starts with our No Hassle Free Quote! Whether you simply need an area rug cleaned, or carpet cleaning for your entire house or business, we can help. We've been providing Quality Carpet Cleaning in West Des Moines for over 30 years and we're locally owned and always treat our customers like family! "Nothins' Free Anymore..." But Our Cleaning Quotes Are! Will I ever get this Kool-Aid out? Will I ever feel OK again? How bad would it really be if I just burned this whole place down? But there’s hope! WDM Carpet Cleaners is just a phone call away, and in moments we can be at your doorstep along with an assembly of top-of-the-line cleaning equipment, our years of West Des Moines carpet cleaning experience, and an unflinching determination to restore your carpet, upholstery and area rugs to their former glory. Ultimately, no matter how carefully we safeguard our beautiful, painstakingly selected carpet, rugs and upholstery, tragedy is all too often unavoidable (and heartbreaking). And even if we’re able to somehow (miraculously) avoid all grape juice-related catastrophes, our carpet and upholstery nevertheless suffer the gradual wear-and-tear of repeat use, heavy foot-traffic and the inescapable ravages of time. And while we do what we can to confront and slow down the gradual deterioration that’s silently occurring beneath our feet, there’s really nothing quite as powerful as professional intervention from a powerhouse of West Des Moines carpet cleaning. In our many years providing exceptional West Des Moines cleaning services, WDM Carpet Cleaners has developed an extensive repertoire of time-tested cleaning approaches that we are certain will leave you with the gorgeous results that you’re looking for. 1. We demand quality results. We know that our customers are looking for nothing but the best, so that’s exactly what we ask of ourselves. We won’t quit until you’re absolutely satisfied with the quality of the cleaning you’ve received. 2. We don’t take shortcuts. We’re not interested in cutting corners. We are interested in making sure you feel like you’ve gotten the best bang for your buck, so we’ll work diligently to provide you with a consistently thorough cleaning. Every. Single. Time. 3. We care about OUR community. As a local business, we are dedicated to providing unparalleled service to the people that we care about, because we live here and we care about the people we share our city with. We’re interested in building lasting relationships with our clients, and we think the best way to do that is to give you the best cleaning you’ve ever experienced. 4. WDM Carpet is easy on your wallet! At WDM Carpet Cleaners, we think you should be able to enjoy exquisitely maintained carpet, rugs and upholstery no matter what your budget is, so we pride ourselves on being one of the most accessible cleaning services West Des Moines has to offer. And even though West Des Moines is our home turf, we’re no stranger to all of our next-door neighbors, and throughout the years we’ve provided outstanding carpet cleaning service in Des Moines and throughout the rest of Central Iowa. So if you’re looking for professional assistance with upholstery cleaning in Ankeny, don’t hesitate to call us. If you find yourself in a bind and need Urbandale water damage mediation or water extraction, you’ve come to the right place. If you’re simply searching for the best possible carpet cleaning Des Moines has to offer at affordable prices, look no further. WDM Carpet Cleaners is here for you. We use pet- and kid-friendly cleaning solutions, because we know a home is nothing without a happy, healthy family to enjoy it, so when you choose WDM Carpet Cleaners, you’ll never have to worry about the lingering presence of any harsh chemicals interfering with your day-to-day life. So for anyone with small children or pets—and those of you who are simply conscientious about the types of chemicals you introduce into the environment—can rest easy in the knowledge that our go-to chemicals are gentle and environmentally safe. So no matter what your particular needs may be—from eradicating built-up grime to emergency water damage alleviation—turn to WDM Carpet Cleaners and find out just what makes us the friendliest, most-affordable and highest quality carpet cleaning service Des Moines has to offer. Dial (515) 619-6797 today for a free estimate, and let us know what we can do to help. 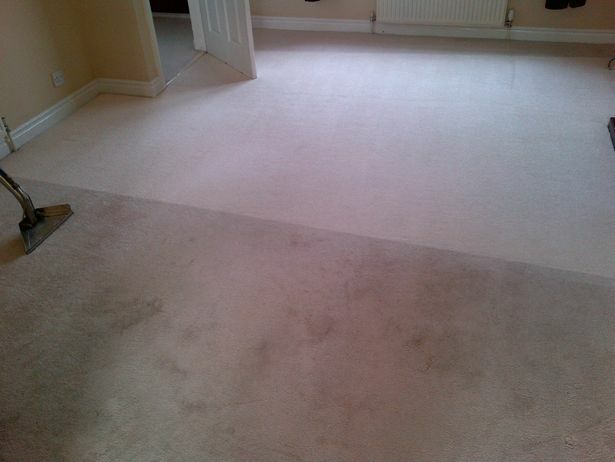 Why Choose WDM Carpet Cleaners? TRUSTED IN THE COMMUNITY - WDM Carpet Cleaners faithfully serves West Des Moines and the surrounding areas. Our customers know exactly what to expect when they call us; Quality and Professionalism. LICENSED AND BONDED - We are a fully Licensed Carpet Cleaning Company, and employ Carpet Cleaning Technicians who maintain an Institute of Inspection Cleaning and Restoration Certification. STRONG WORK AND BUSINESS ETHICS - At WDM Carpet Cleaners, we believe our Ethics and Core Values should be seen in how we conduct our business and how hard we work. DECADES OF LOCAL EXPERIENCE - When it comes to carpet cleaning in the West Des Moines area, we have the knowledge and expertise to get your job done right the first time. Our IICRC certified technicians have a proven track record and are constantly keeping up with the latest techniques and technologies. 100% CUSTOMER SATISFACTION - We always make it a point to not only meet our customers expectations, but to exceed them. It's our belief that's just good business. INSURANCE FRIENDLY - WDM Carpet Cleaners has plenty of experience working with insurance companies if your situation. Don't worry if you are unable to get in contact with your insurance company, we can help. ESTIMATES ARE ALWAYS FREE WITH NO OBLIGATION - Yes, you read that right, FREE Quotes on all your West Des Moines carpet cleaning needs! There is No Obligation once you have your Quote from us. Our prices are highly competitive and our service is second to none! Designed to be thorough and to impress, our 10-step process provides a professional service experience and guarantees 100% client satisfaction. We follow the recommendation of the manufacturer's recommended cleaning process and that of the highly respected IICRC thereby keeping your carpet's warranty intact. Our time-tested process leaves no residue, protects your furnishings and your property, and speeds the drying process. Makes stain removal easier by making stains more difficult to "set in"